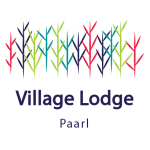 Village Lodge Guest House is located on Dal Rivier Farm in the Dal Josafat area of Paarl. It has 3 cosy cottages available to the public. We have a 3 Bedroom cottage called the Garden Cottage. We have a 2 bedroom cottage called the Orchard Cottage and we have a 1 bedroom cottage called the Riverside Cottage. See the descriptions of each cottage for more information. Please note that the Riverside Cottage has a single sleeping quarter with 6 bunk beds and is more suited to a group of travelers on a budget. The farm boasts a range of activities from horse riding, swimming in a farm dam, jogging routs and hiking trails. Also take note that the farm is commercially active and thus not suitable for unaccompanied children. The farm is 7km from the center of Paarl (a 10min drive).